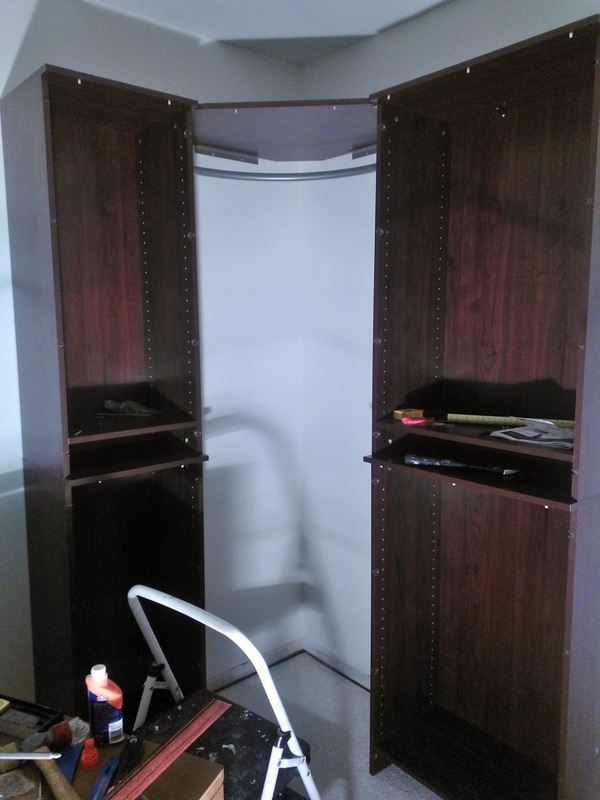 I decided to go with the ClosetMaid Impressions system from Home Depot. The main reason was for the ease install. I was going to build all of the shelves and bookcases out of MDF and then paint, but this was a much faster option. They really look great and it cost just over $400.00 so you can't beat the price. The Impressions system is new to Home Depot and by far the nicest looking out of all of the brands at both Home Depot and Lowes. 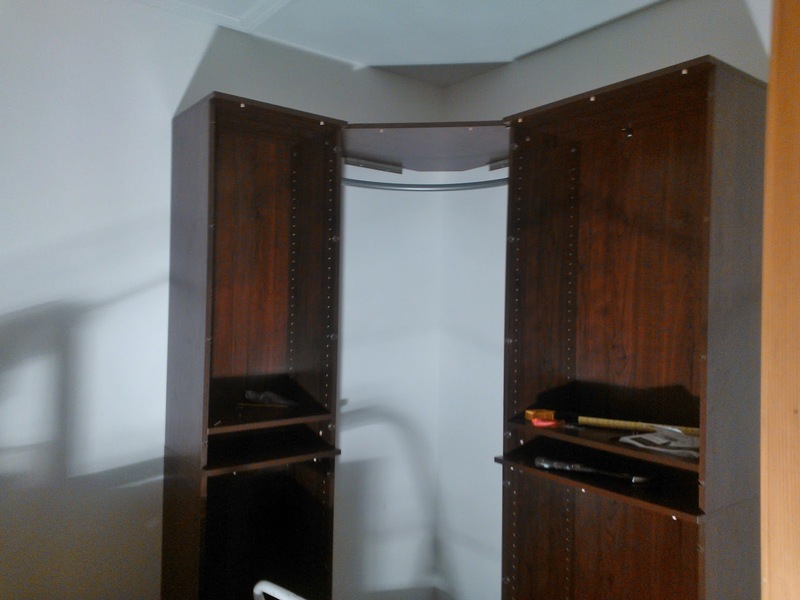 It comes will all of the trim pieces to get the closet a finished look. 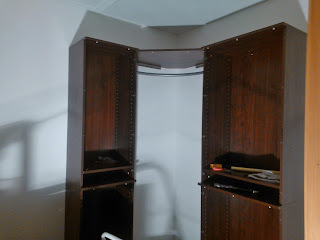 Installed so far is the 25 and 16 inch towers and the corner shelf and bar. I really like the idea of not have the whole corner being wasted space.